Complete sets of blister change part. 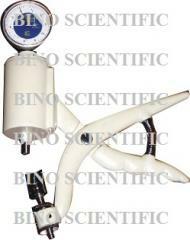 BP-102 Complete Blister Tooling Set. Mini Bliss Alu Alu Change Part Complete Set. Complete Set of Blister Change Parts. Pressure Cooling Roller for PRC. Alu Alu Forming Tool Asly.